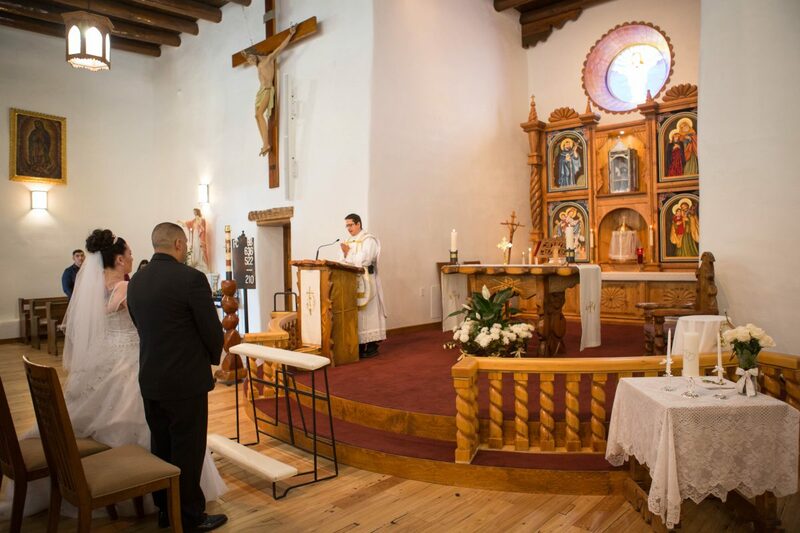 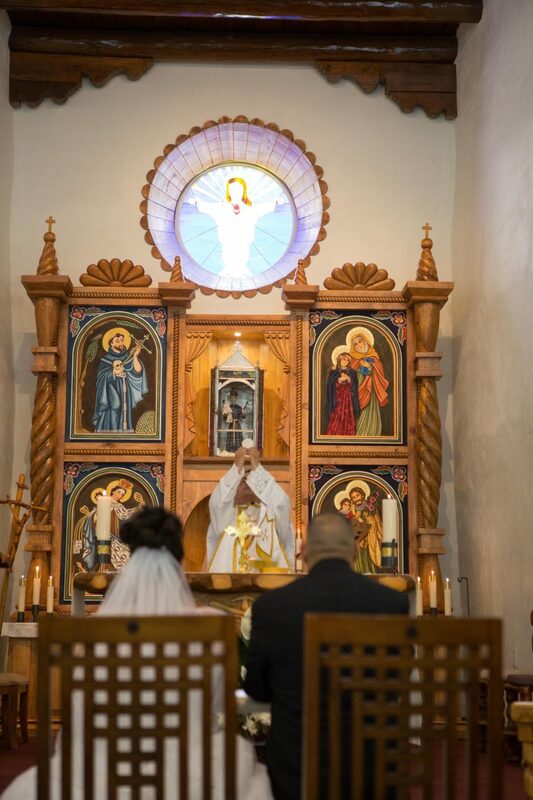 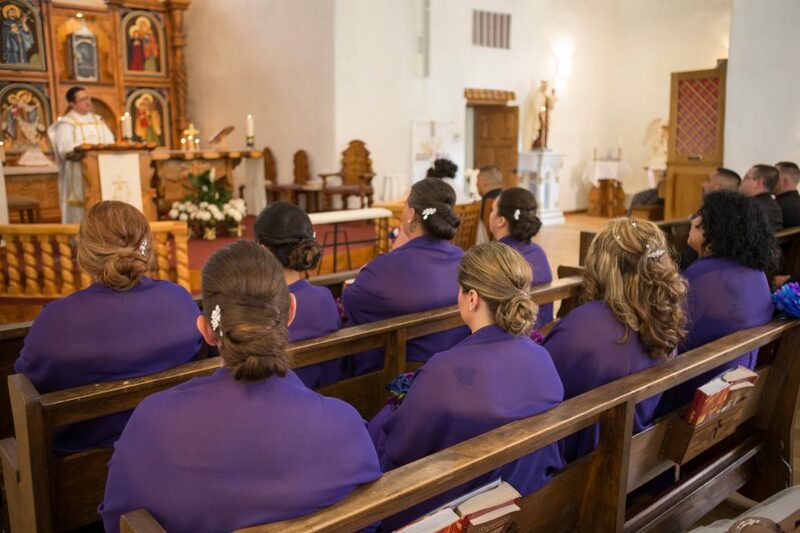 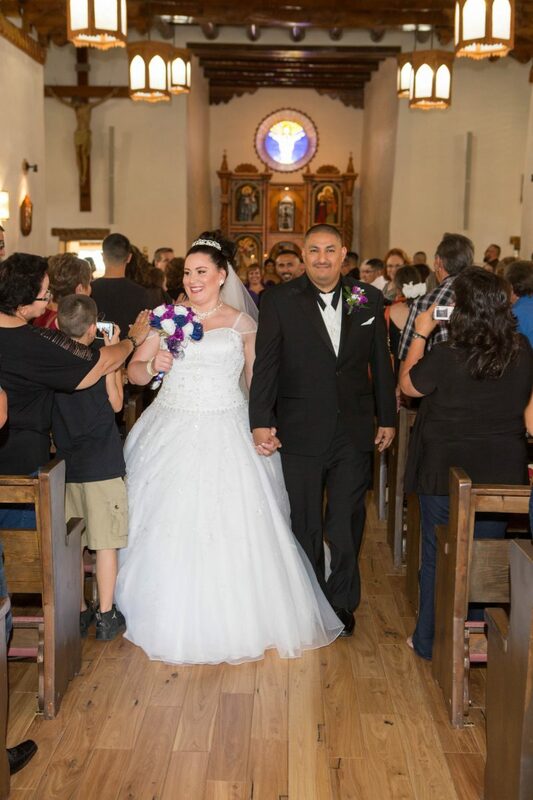 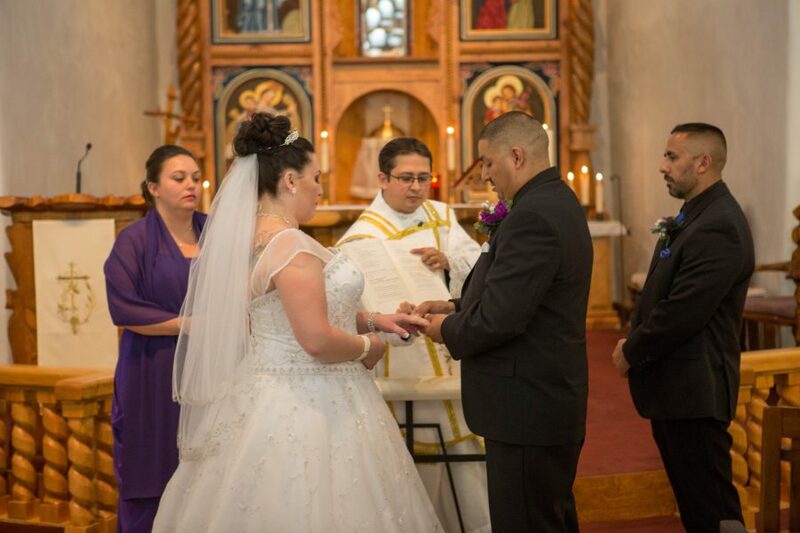 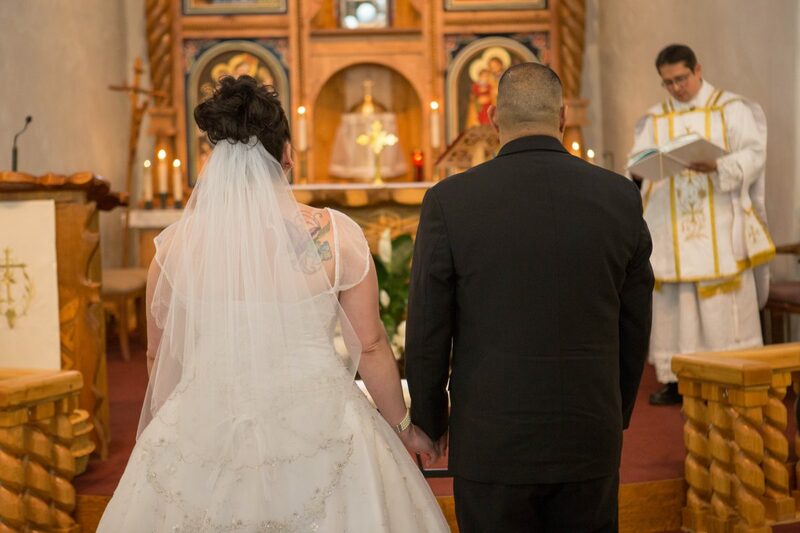 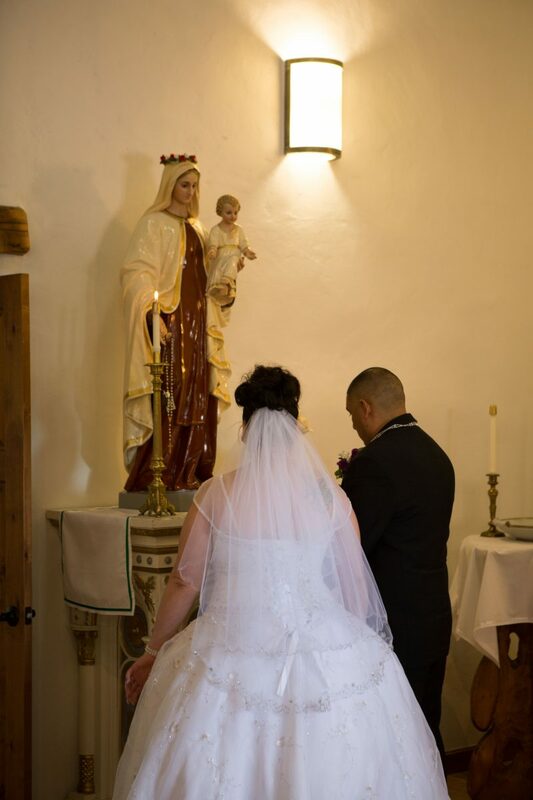 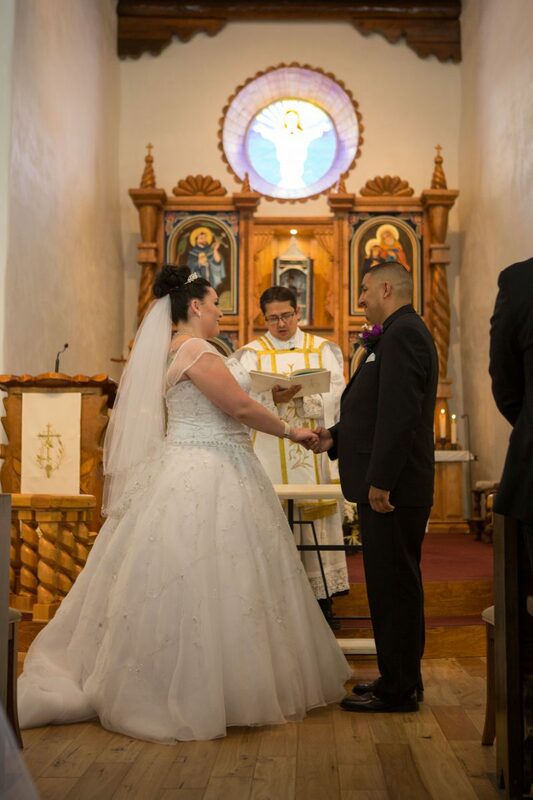 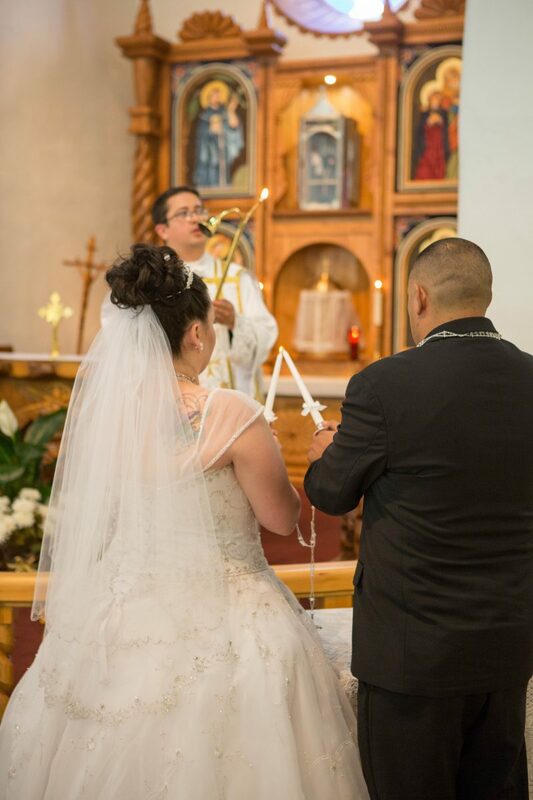 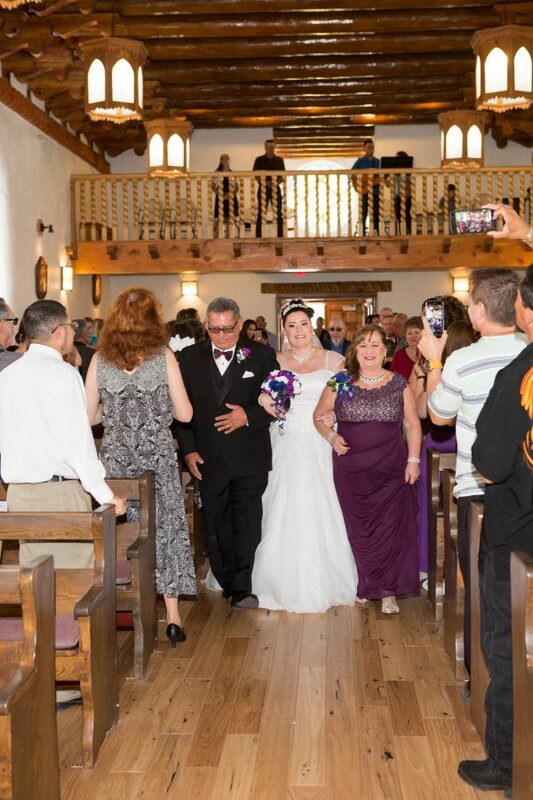 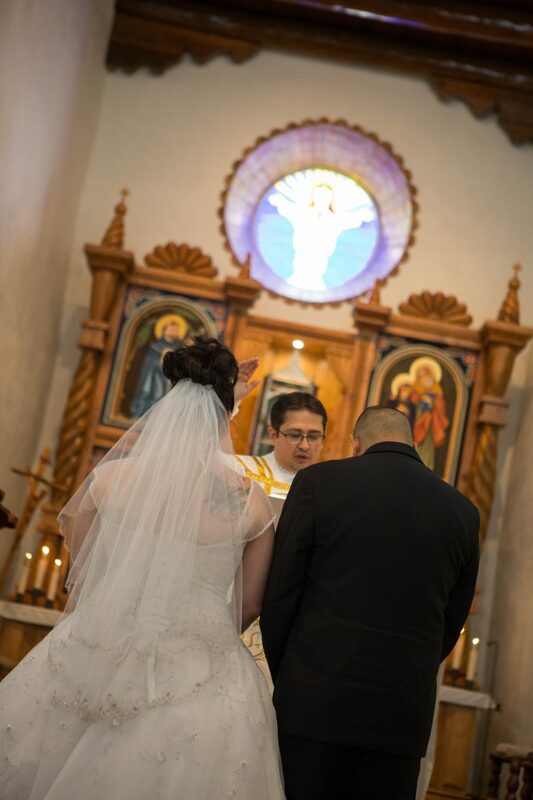 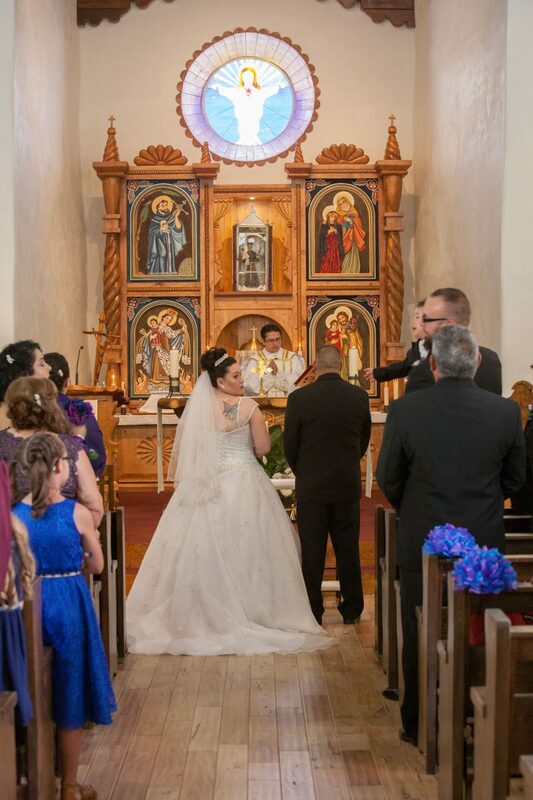 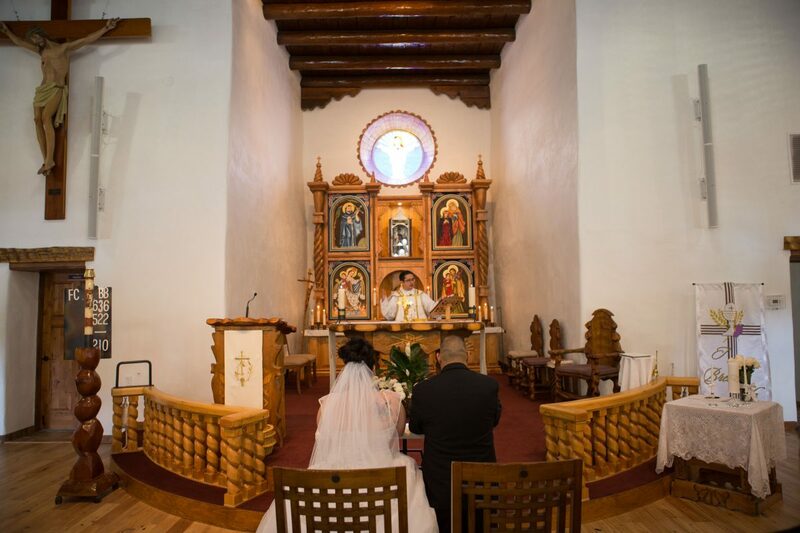 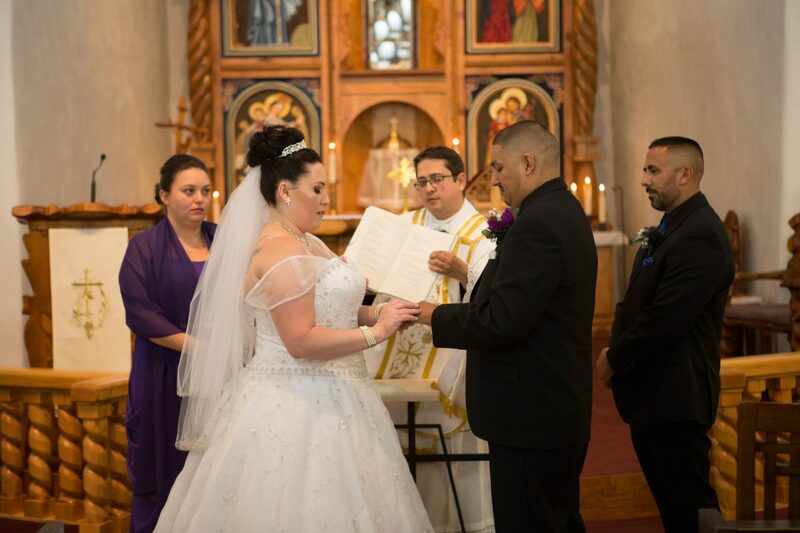 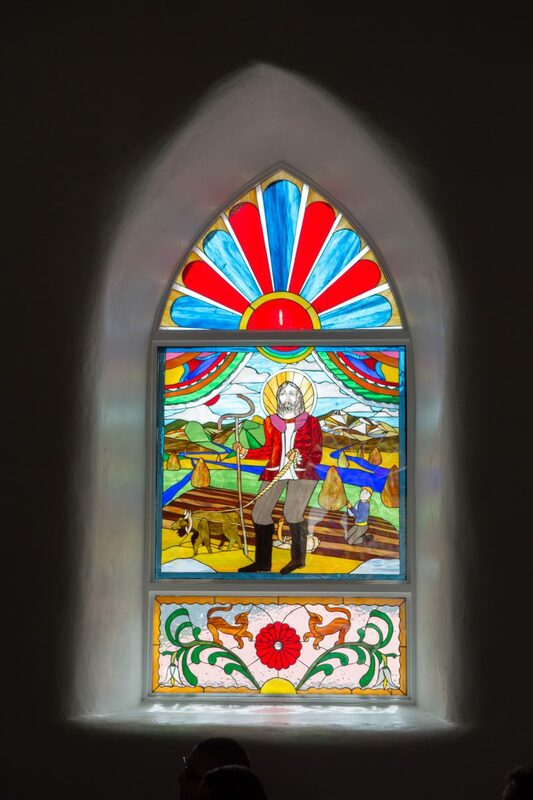 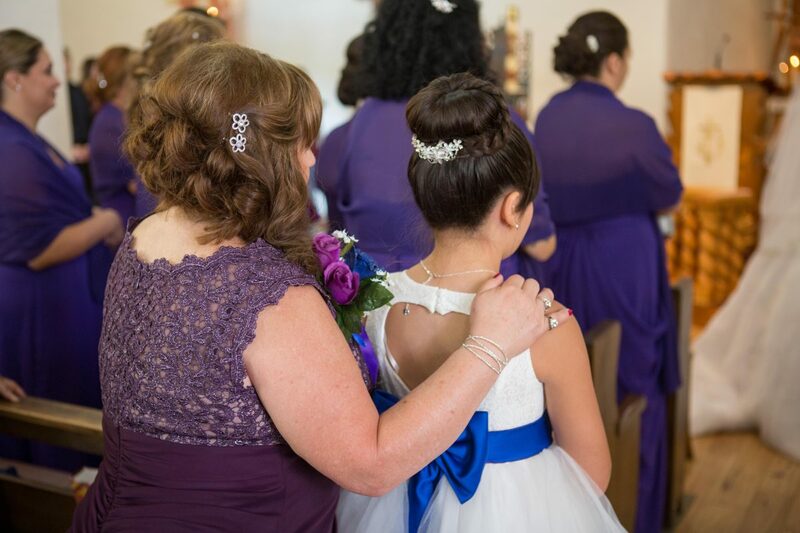 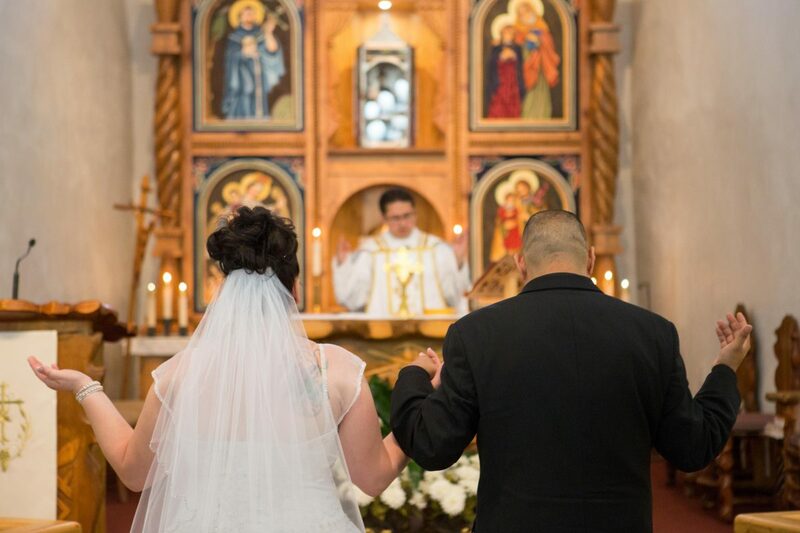 St. Anthony’s Parish Chapel in Questa, NM is a beautiful backdrop for a wedding ceremony. 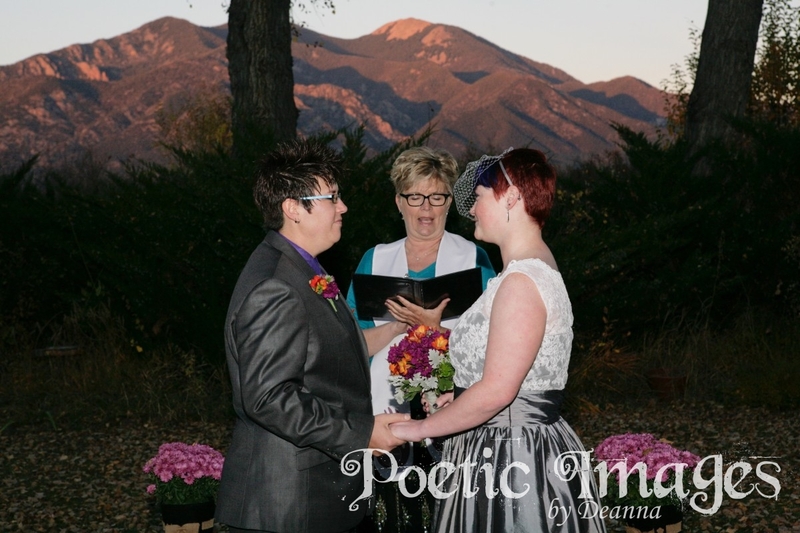 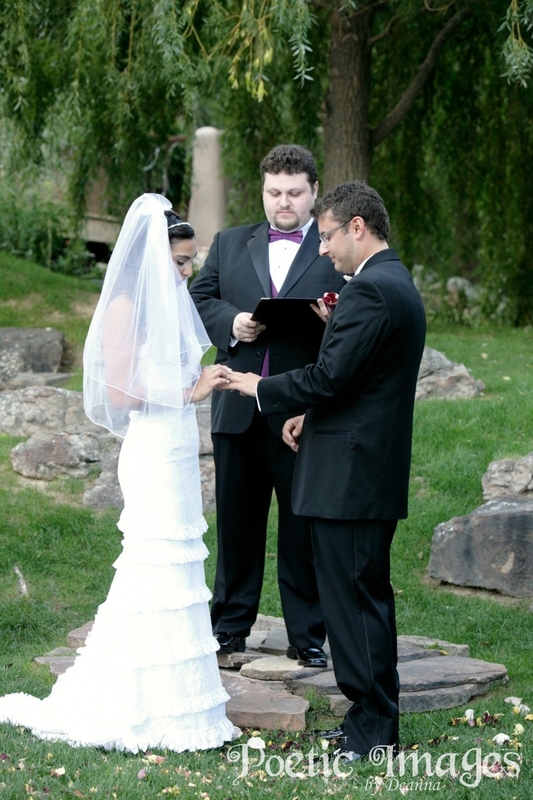 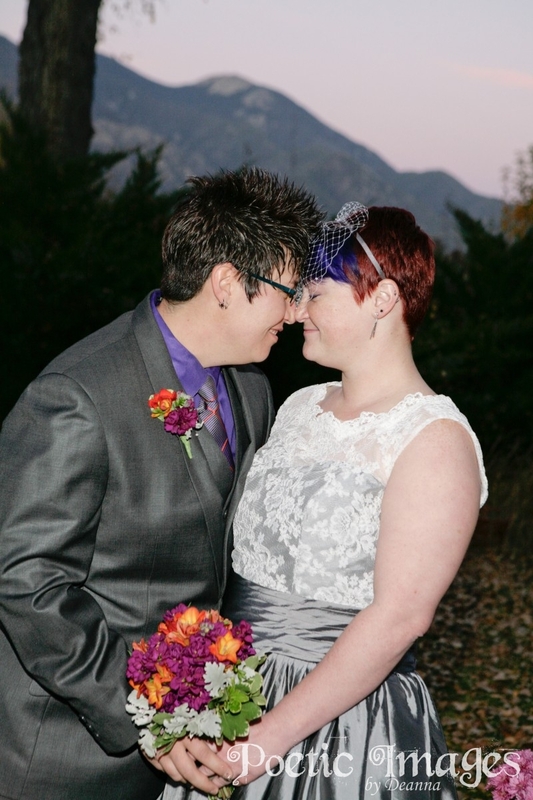 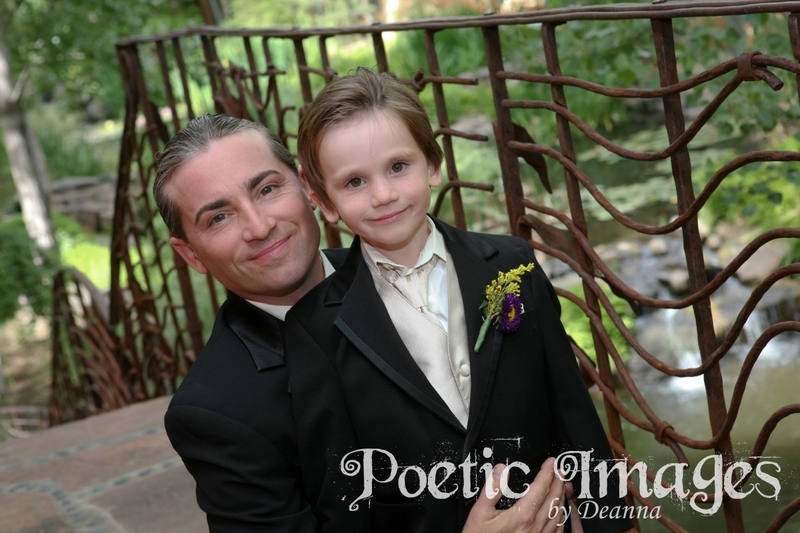 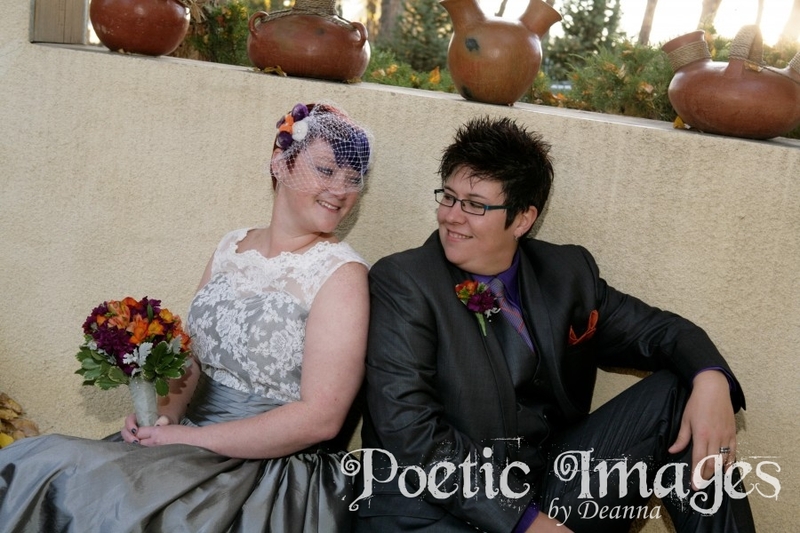 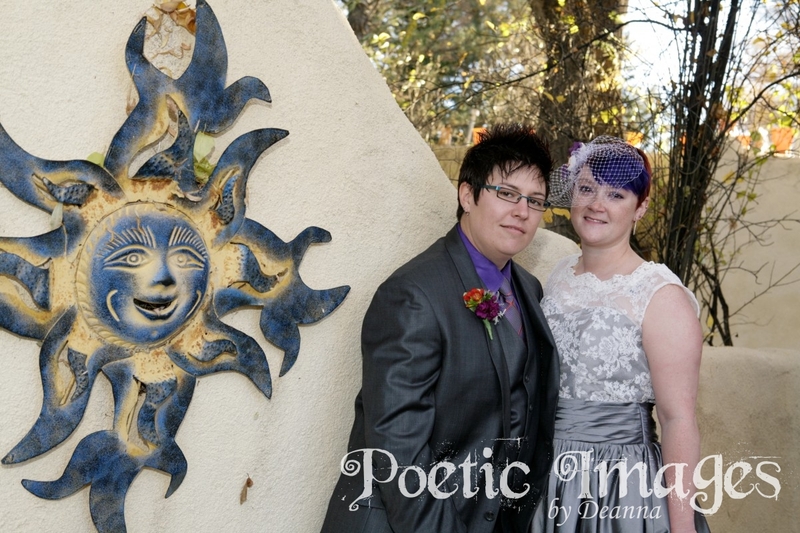 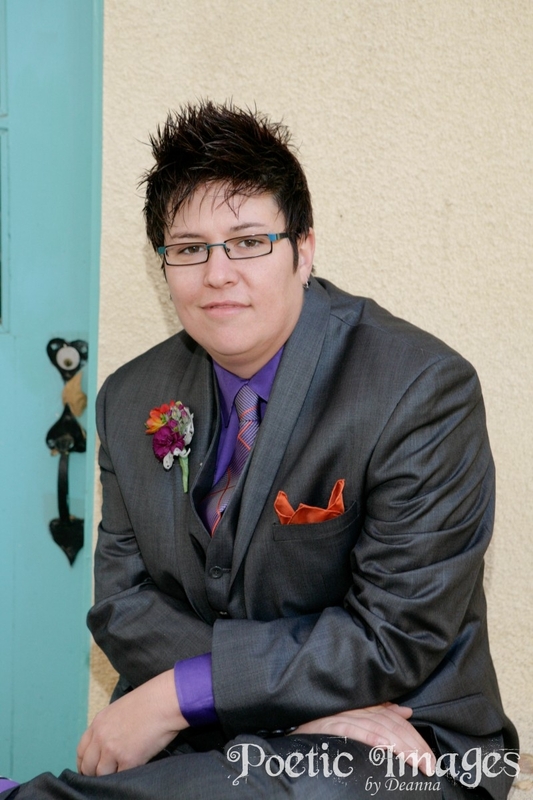 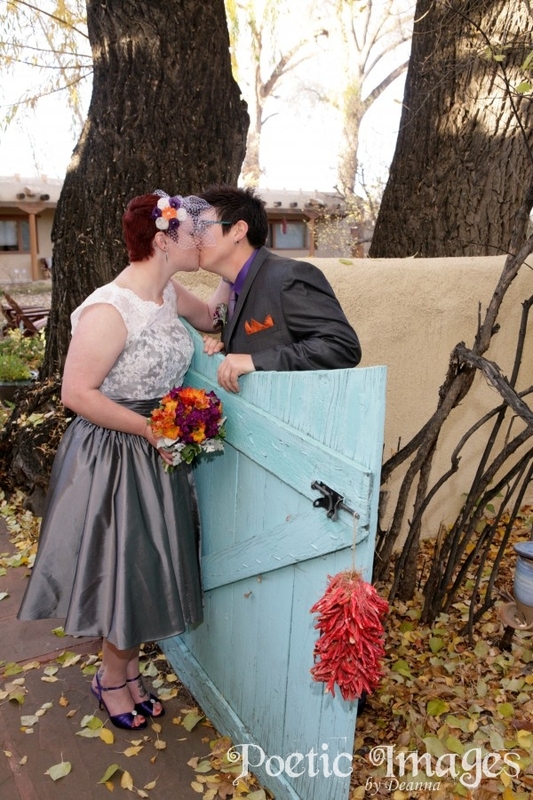 Sonya and Adam live in Santa Fe but came “home” to Questa to say their wedding vows. 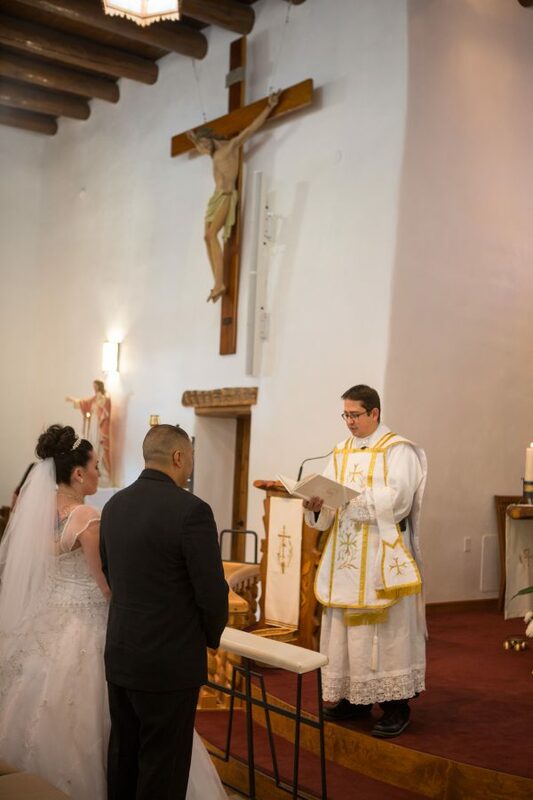 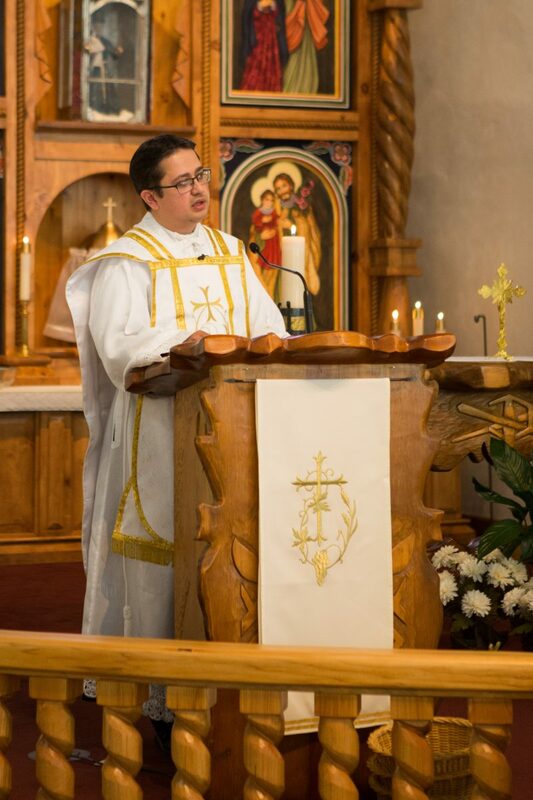 The current priest at St. Anthony’s was a high school classmate of the groom which made this ceremony extra special for everyone involved. 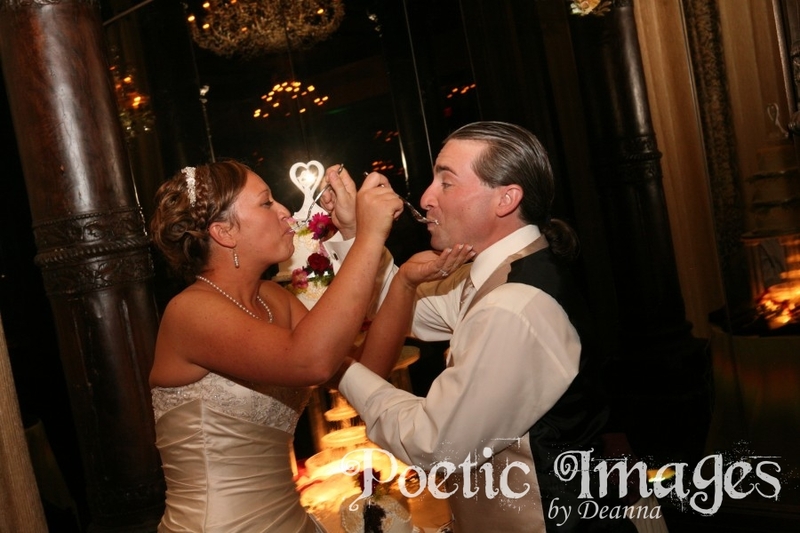 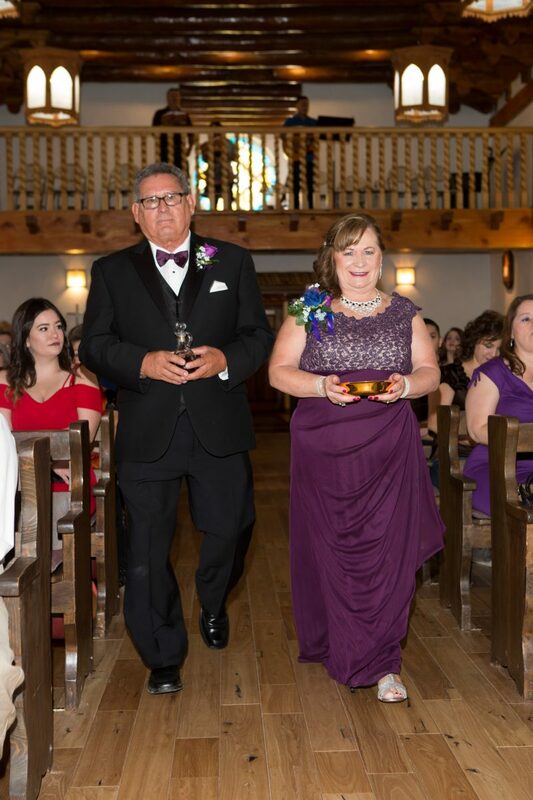 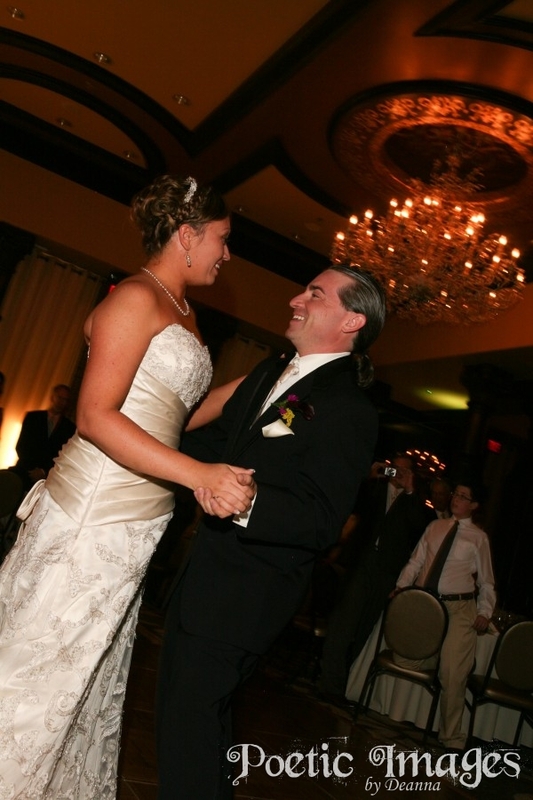 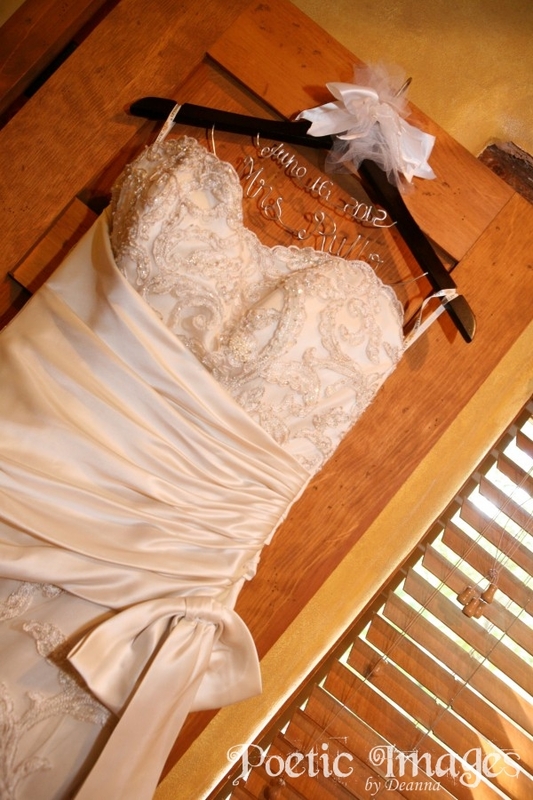 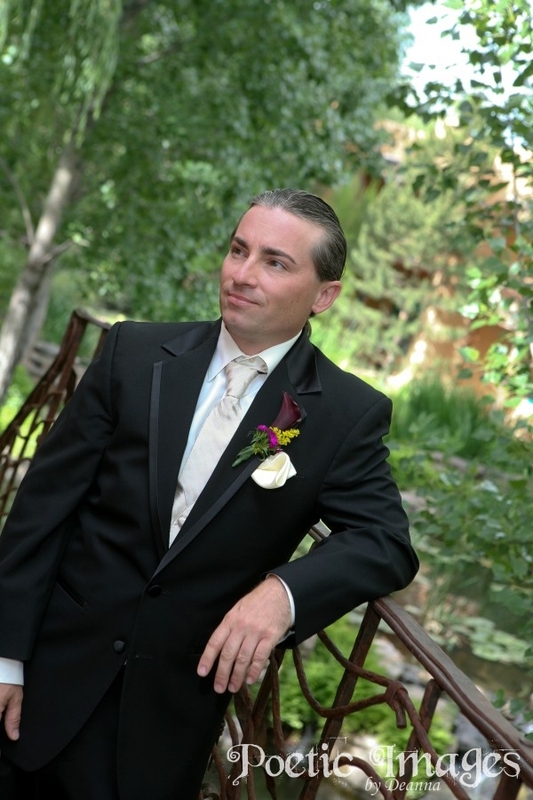 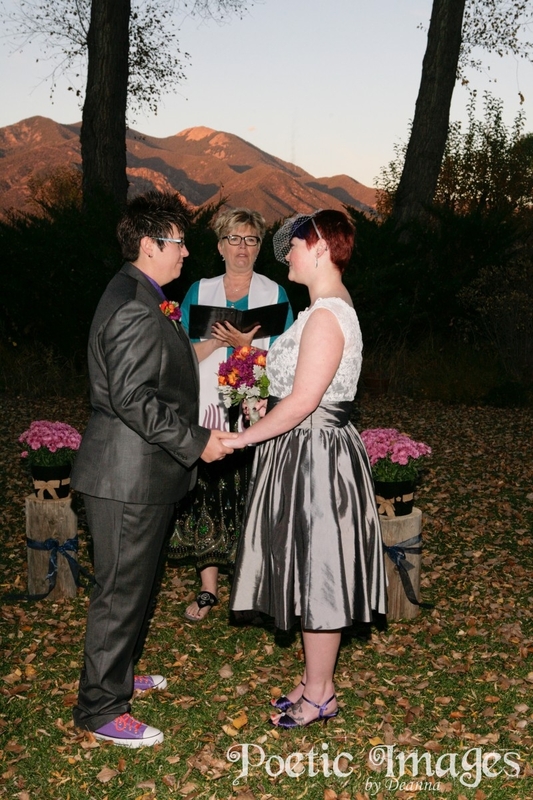 Sonya and Adam celebrated their wedding reception in Red River at the convention center. 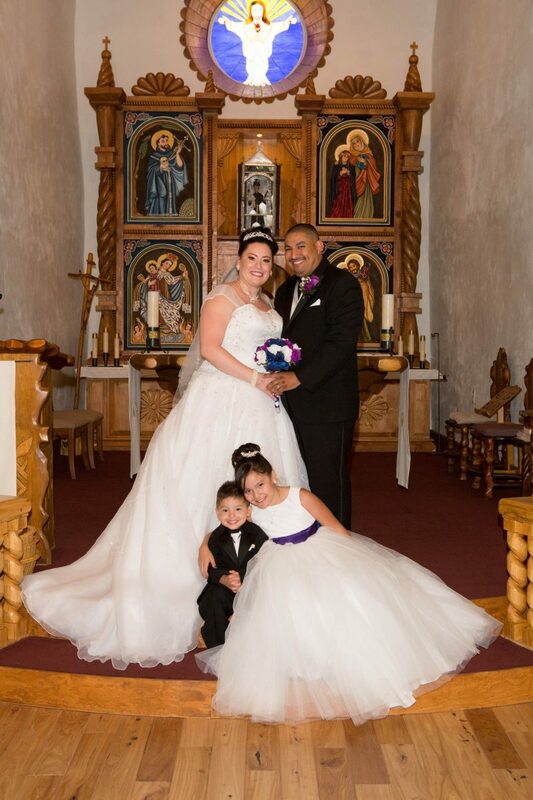 Congratulations to this lovely couple/family!! 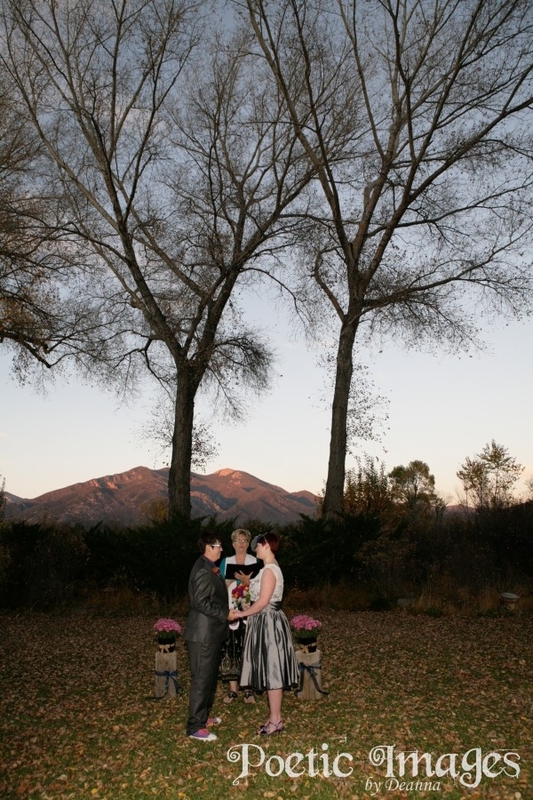 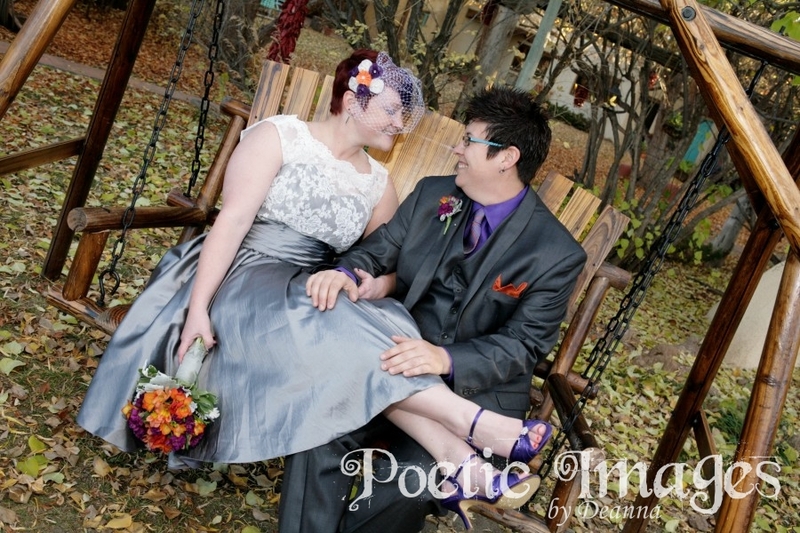 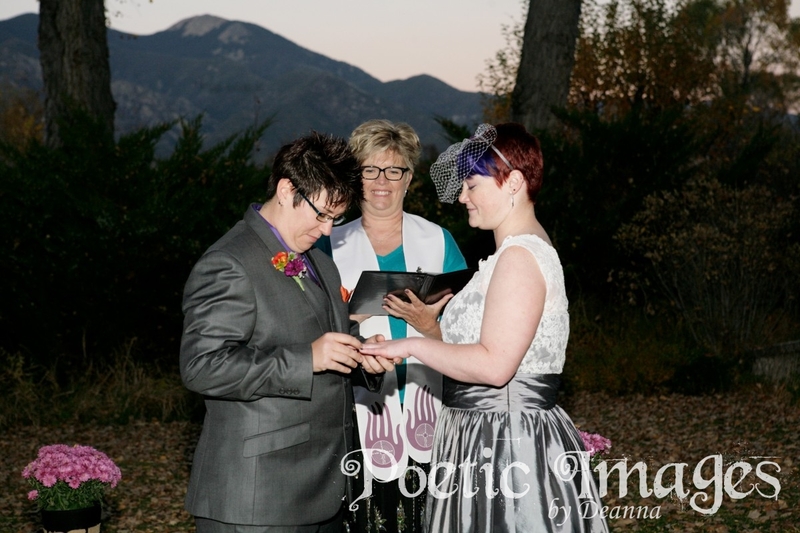 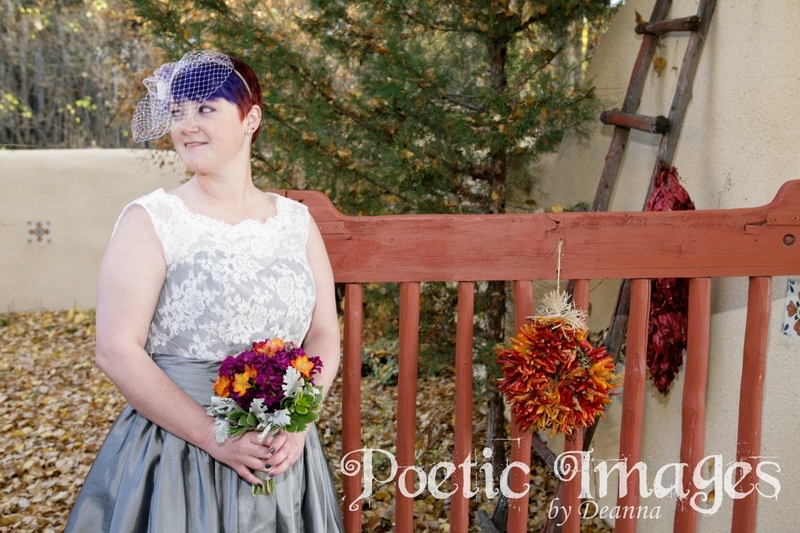 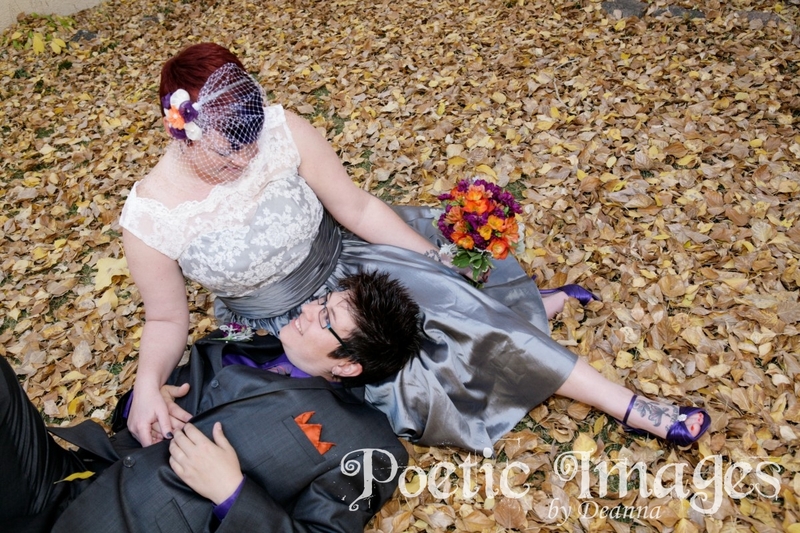 The crisp “crunch” of the autumn leaves and the stunning fall time light are only two reasons to plan your destination wedding elopement in Taos, NM! 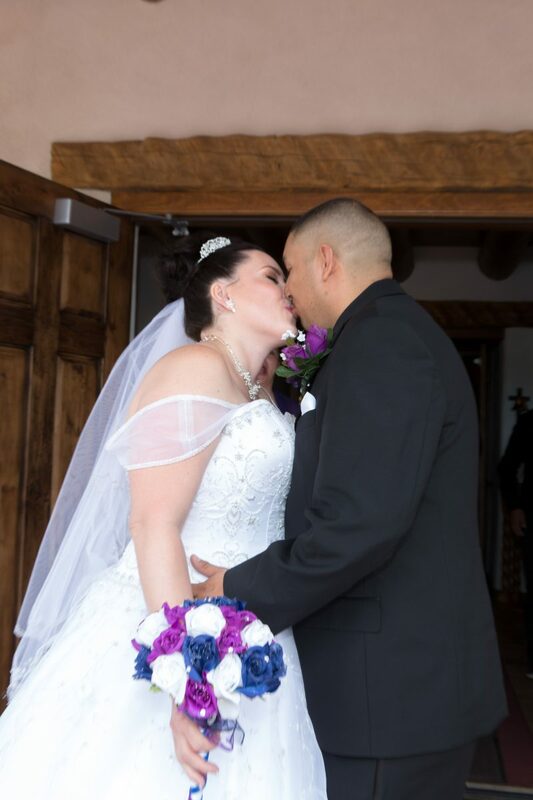 Other reasons? 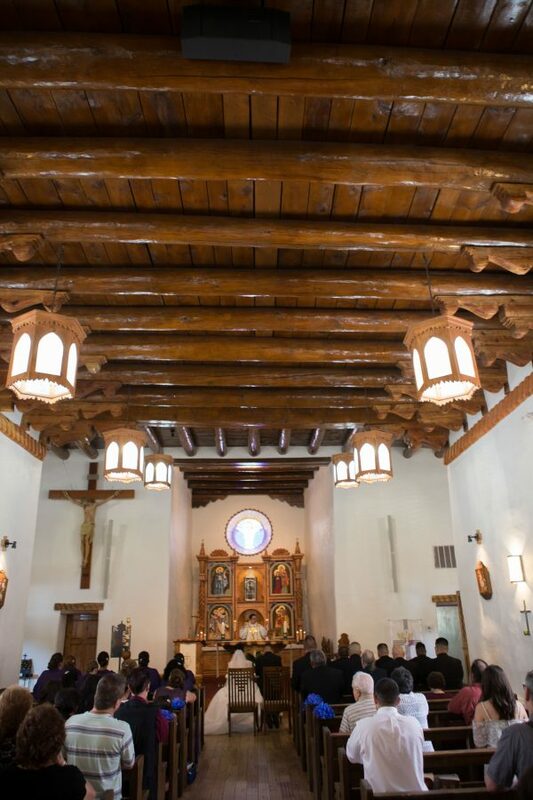 The views in Northern New Mexico are gorgeous from every angle. 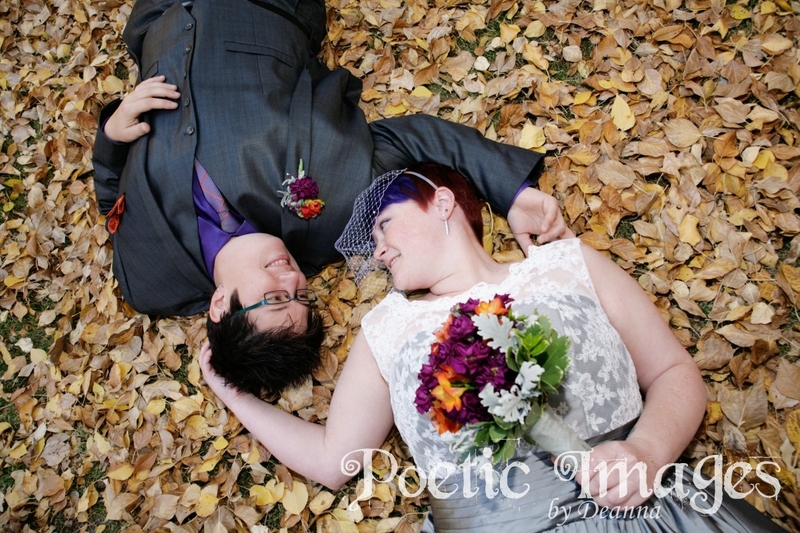 The leaves on the trees are changing and it’s stunning! 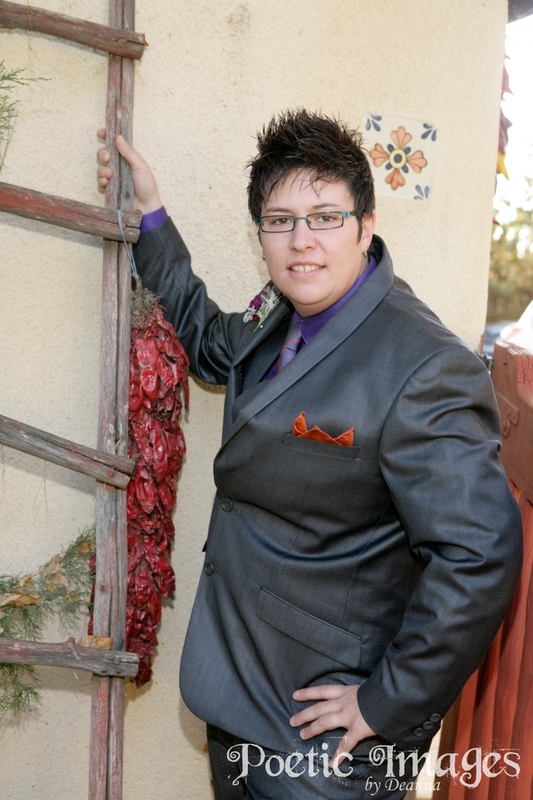 The people in Taos are diverse and friendly! 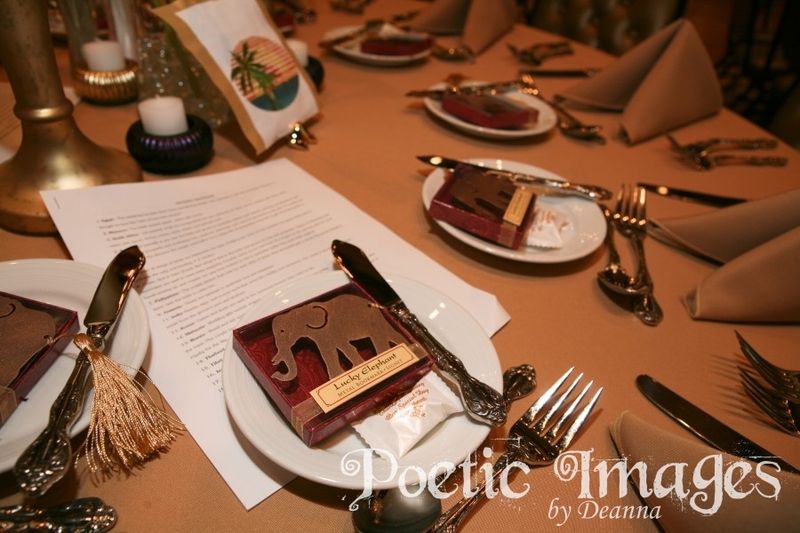 We have incredible food and lodging! 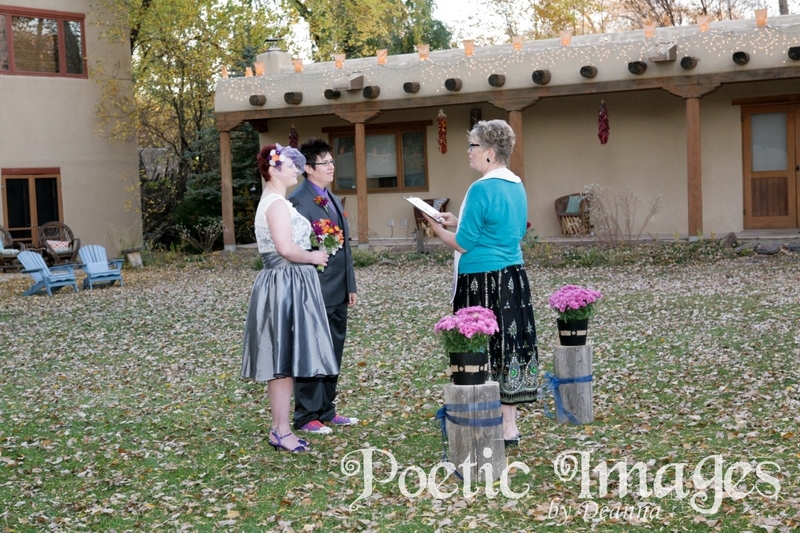 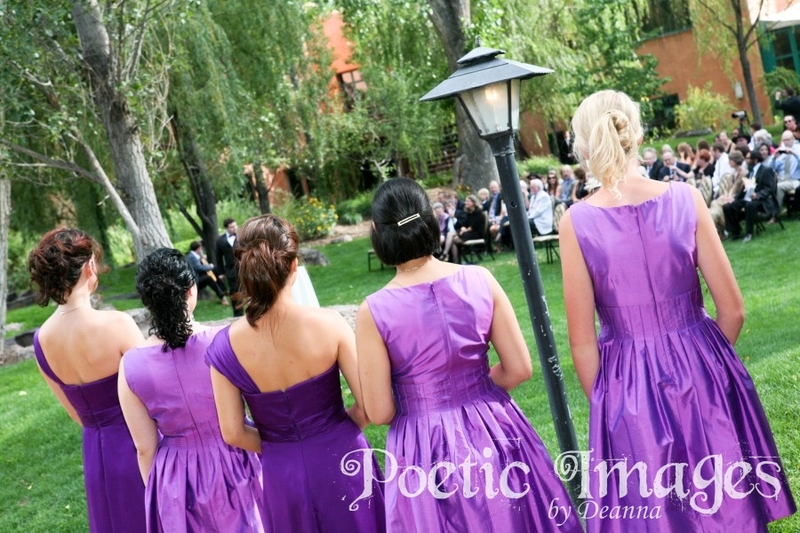 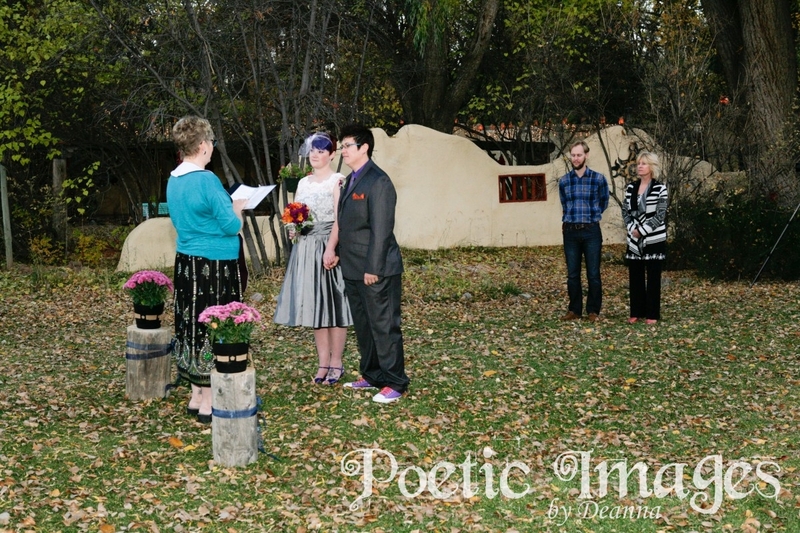 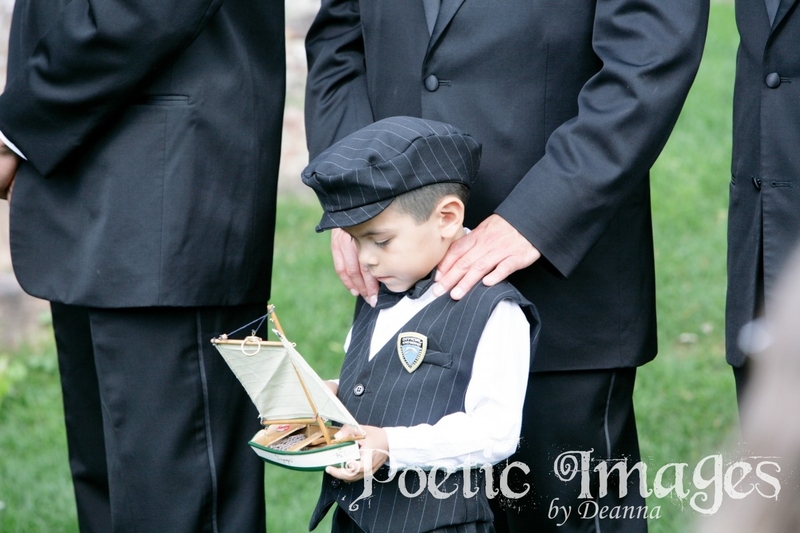 Poetic Images’ photography reflects the unique and outstanding place Taos is to get married. 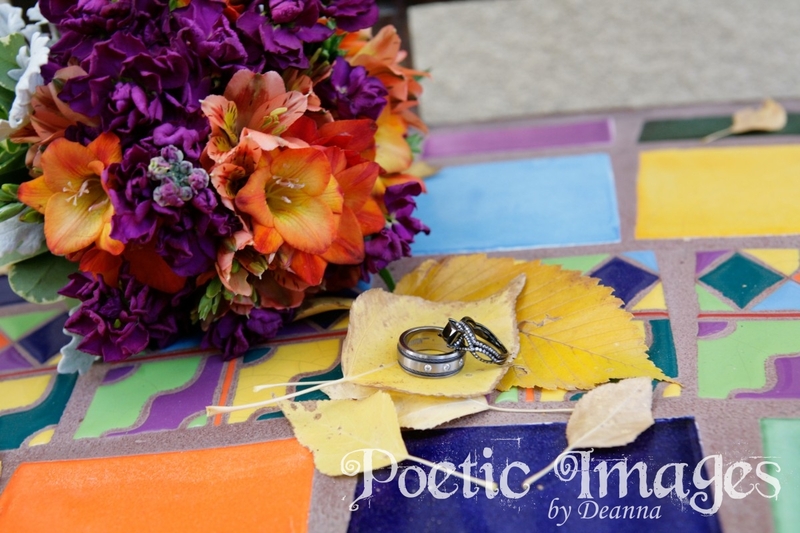 Book early to reserve your wedding date! 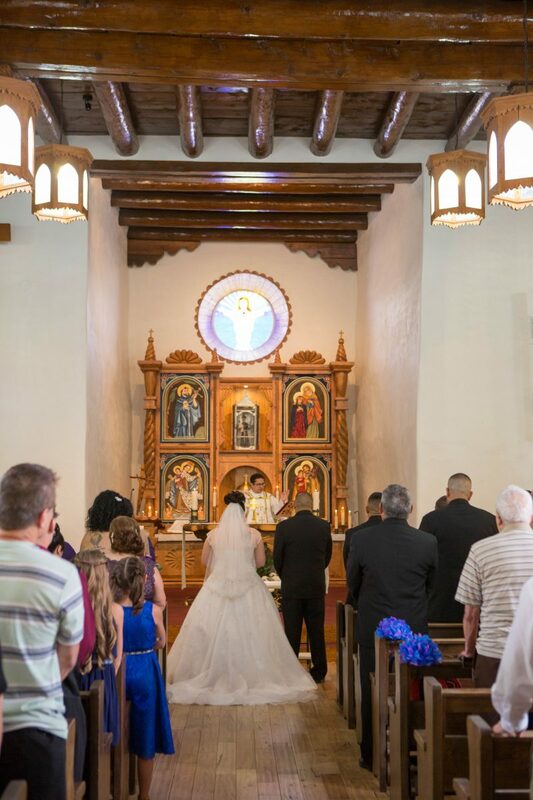 There are many different traditions that are part of a wedding ceremony, and many of these customs have been practiced for several centuries. 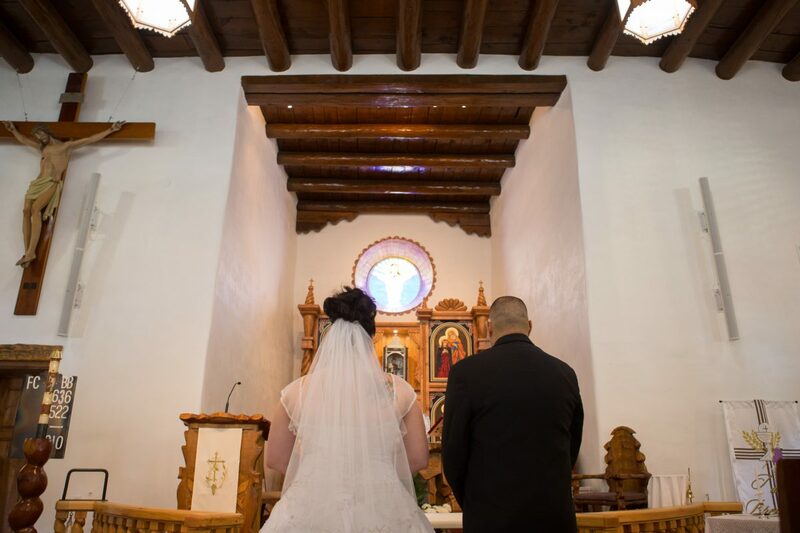 Ciara and Andrew implemented many different traditions into their wedding day, some of the explanations of these traditions are listed below. 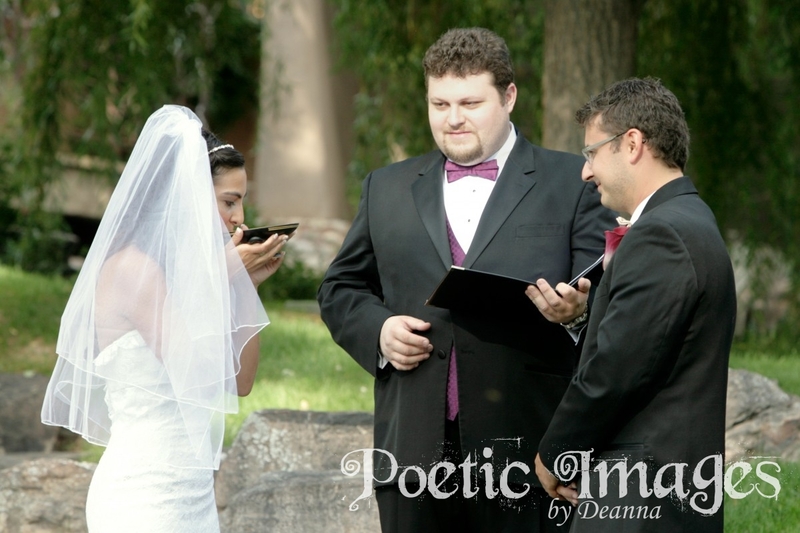 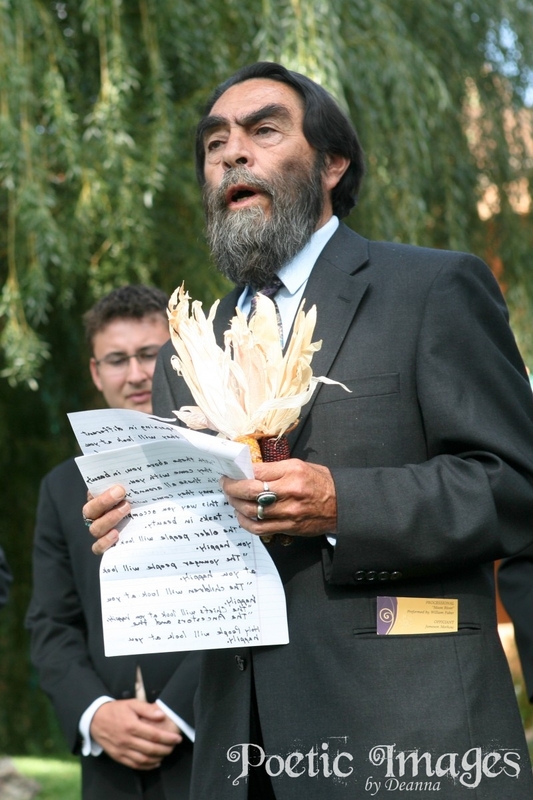 Ring Exchange: First marital ring exchange dates back to 4800 years ago! 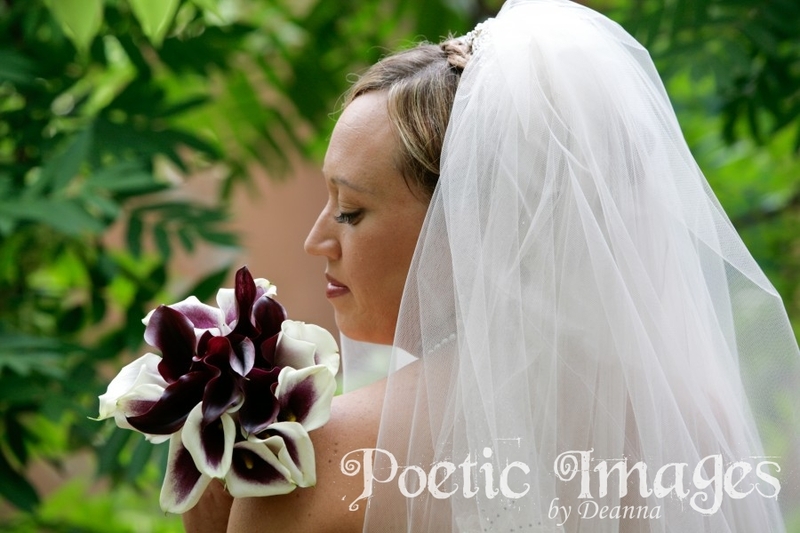 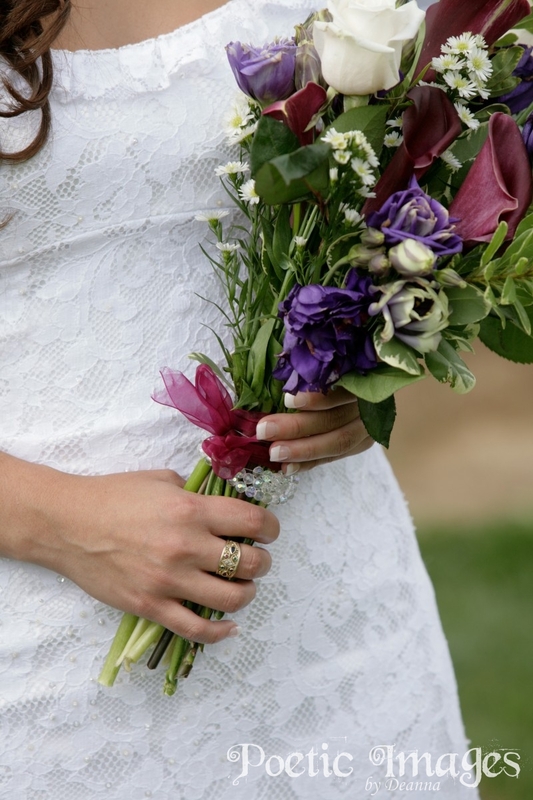 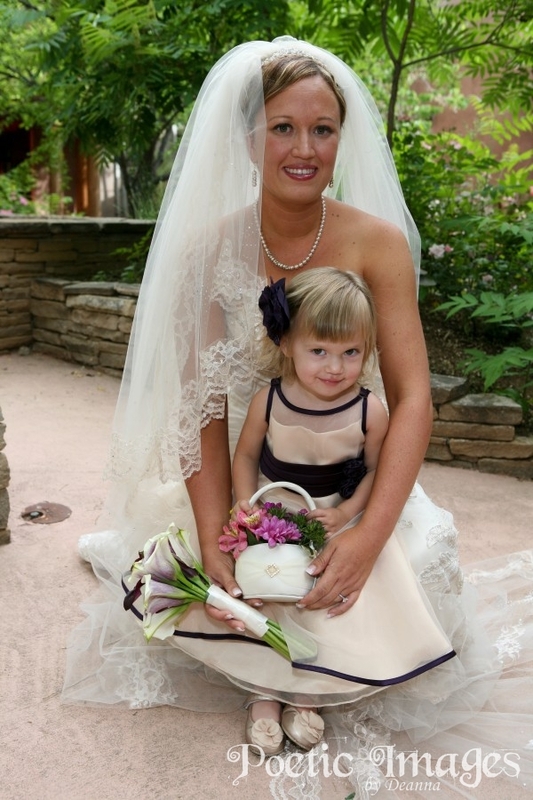 Bridal Flowers: The bouquet signifies a woman in bloom! 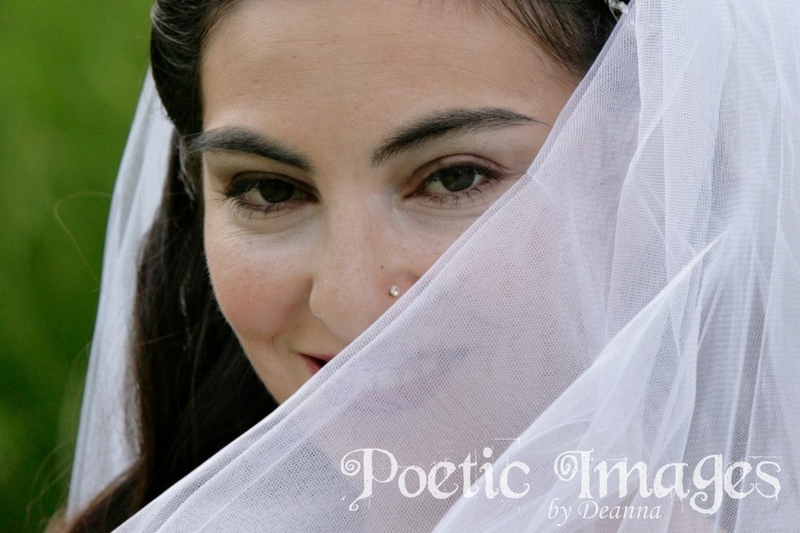 Wedding Veil: A woman’s face covered by a veil means she is spoken for. 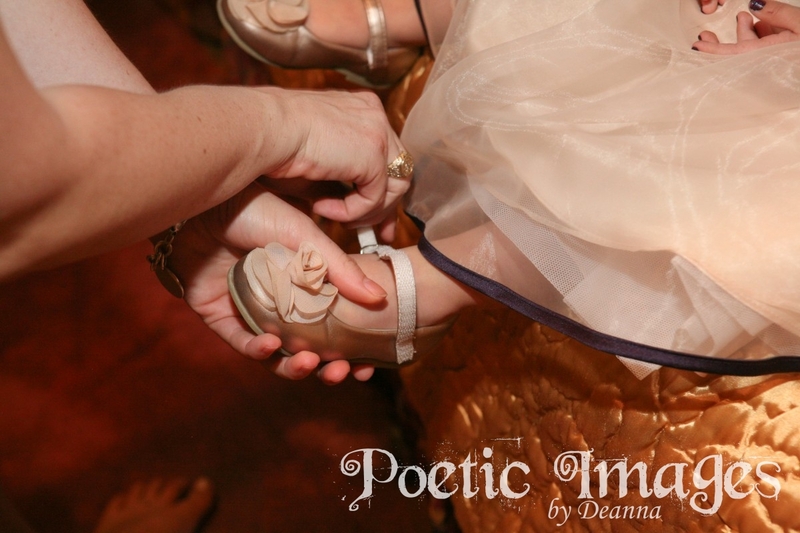 The Garter: Was believed (in 14th century Europe) having a piece of the bride’s clothing was a good luck. 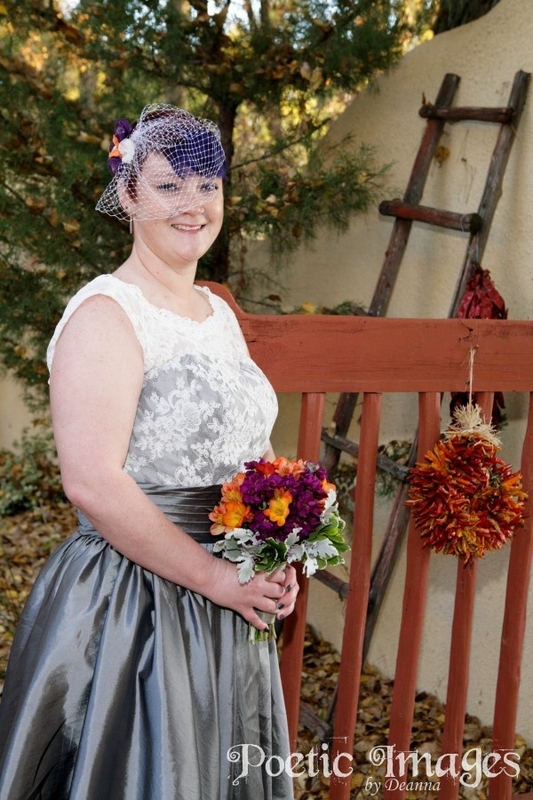 The bride would throw a garter to keep guests from ripping off a piece of her wedding dress. 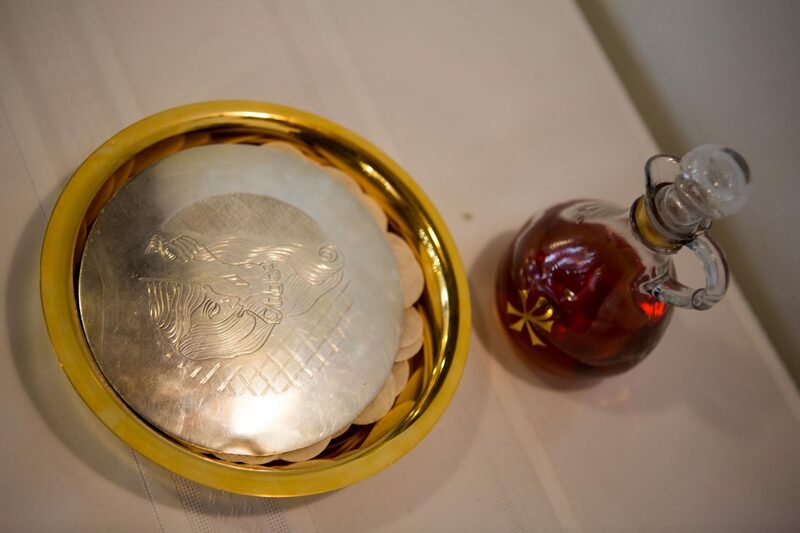 Wedding party favor: In the late 1800’s, it was common for the married couple to send their guests home with a cardboard box filled with almonds. 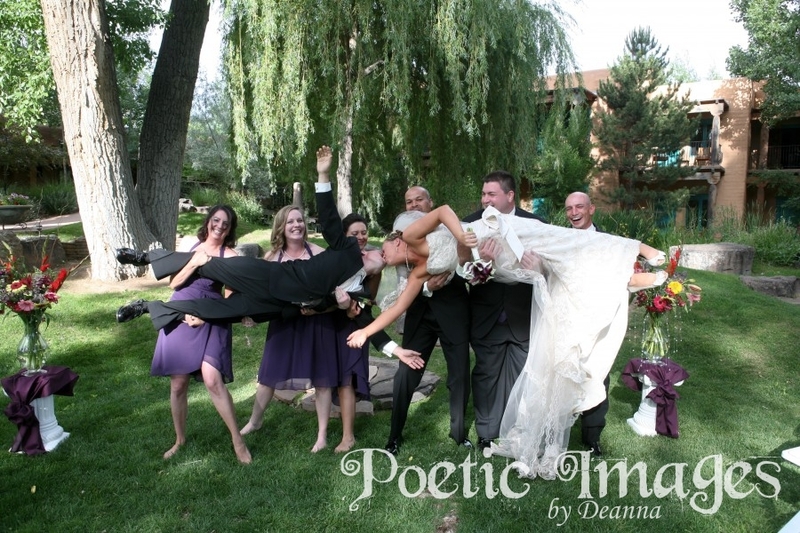 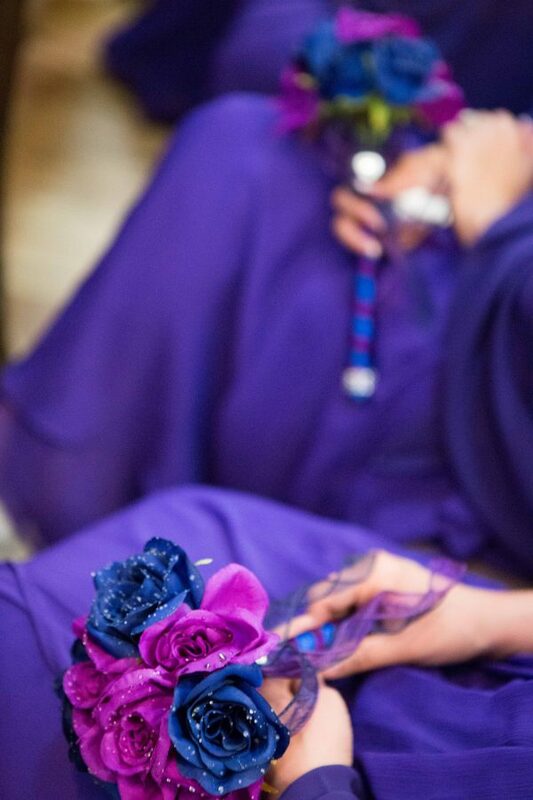 Bridesmaids/Groomsmen: Originated from Roman Law which required ten witnesses at a wedding to outsmart evil spirits.